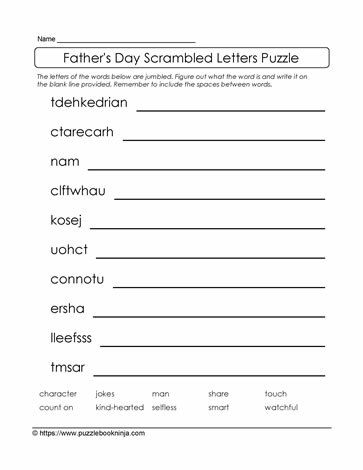 Here is a Father's Day scrambled letters puzzle that is sure connect kids and dads. Use the word bank at the bottom of the list of jumbled letters as clues to help unscramble the letters. Great for home schoolers and regular classrooms.